Disclosure: I received a game for review from Lakeshore Learning. All opinion are my own. and Make the Most of Summer Break. Parent-friendly games include online tools and activities to ensure a successful school year. This exclusive set of innovative and interactive learning games provides an easy way for parents to prevent summer learning loss and improve children’s school performance in the coming year. 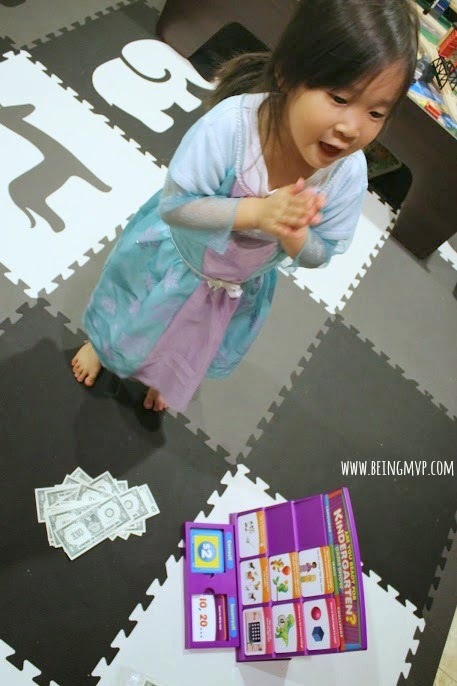 Games are a great way to spend time with kids as well as get them motivated about learning. Kenzie couldn't wait to open the box and start playing. Developed by Lakeshore’s team of expert teachers, these new games target the most essential math and language skills needed for success in kindergarten through 5th grade—while keeping kids incredibly engaged as they take on the exciting role of game-show contestants. Each Are You Ready? Game Show® comes packed with six different games that put children’s skills to the test as they answer questions, earn pretend cash and win cool rewards. Kenzie breezed through the answers and collected a lot of money. After just 3 rounds of the game, we needed more cash. The questions were fairly easy for her although she did miss about 1 per round. I went over those missed questions several times with her so she would understand. Included with each game is a free online assessment that shows parents the exact skills their child may need to work on. Parents simply enter the game results on Lakeshore’s website, and they instantly receive free printable activities that target the skills their child needs to polish before the new school year begins. As an added bonus, Lakeshore also provides product suggestions aligned to those skills for even deeper levels of support. I love this aspect because tracking progress and knowing Kenzie's skill set at this time is rewarding. I finally feel the same moment of being proud as my mother did when I would come home with some sort of award for achievement. Kenzie is more than ready to go to Kindergarten academically however due to the age cut offs in California for public school entry, she is going to be held back until the following year. Let's just say that I am hugely disappointed and debating putting her into a private kindergarten program. Kenzie loves playing being a participant and as well as hosting the game. We play almost every night after I come home from work. It would be awesome if the money categories were $1, $5 and $10 or if the denomination were changed on the bills because Kenzie gets so many answers correct that she needs to cash in before playing more rounds in one day because the bank becomes depleted too quickly! Lakeshore’s Are You Ready? 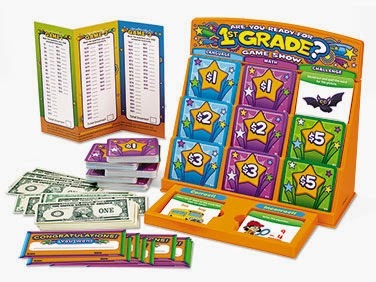 Game Shows® is available at LakeshoreLearning.com and at Lakeshore Learning Stores nationwide for only $29.99 each. To learn more about these innovative games, visit lakeshorelearning.com/areyouready. Lakeshore Learning Coupon Code: To get $10 off any Are You Ready? Game Show®, enter code 9141 at checkout or click here for a store coupon! Expires 7/31/14. Magna tiles starter set. My daughter is in Pre-K. 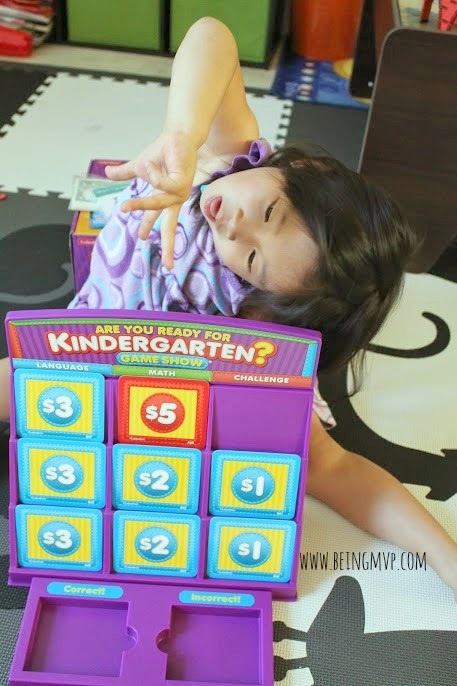 I'd also like to have the Early Math Activity Center. This would be for my grandson when he enters Kindergarten. I like Get Ready to Write! Gumball Grab and my little sister is going in the 1st grade. I like the My Farmers’ Market. My son will be in the 1st grade. I like the Community Theme boxes. My daughter is attending PreK. I also like the Get Ready to Write! Gumball Grab, and my daughter is going into pre-k. I would love The Allowance Game. Great for teaching kids the value of money and spending it wisely! 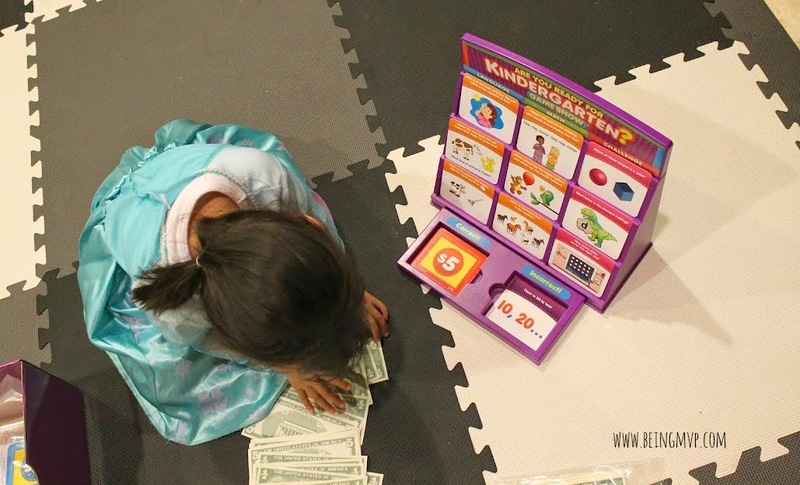 I also like this good teaching game; The Allowance Game®. My son is entering Kindergarten...I think he would enjoy the playdough rollers. I would also love the Learn to Write! Magnetic Tracing Alphabet, my daughter would love this! I am trying to work on her letters with her now, she will be turning 3 this fall so she is not in school yet! I like the Mold & Play Colored Sand and dd will be in 1st grade next year! The Allowance Game looks neat too! I'd love the Circle Time Learning Center too. My oldest will be in kindergarten this coming fall. I like the Learn to Write! Magnetic Tracing Alphabet. My nephew is pre-k. I'd love the write and wipe pages! My sons going into preschool! I also like the farmers market. My son is going to 3 yr old preschool.